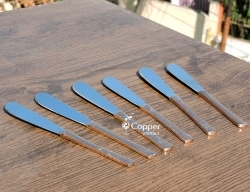 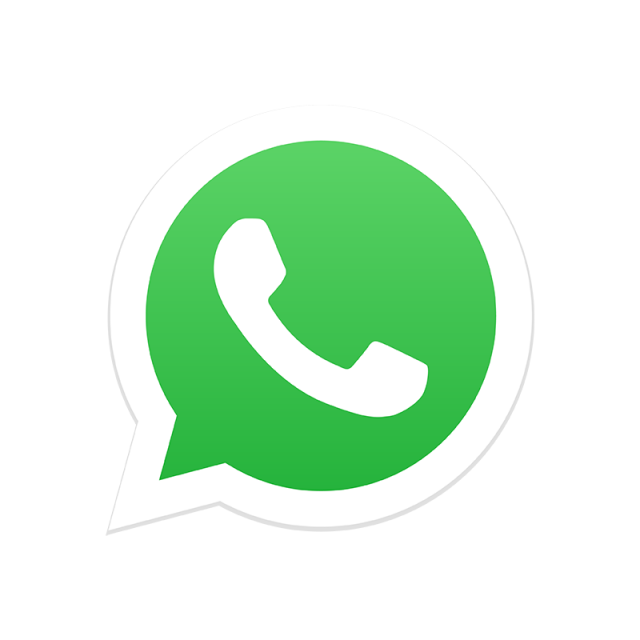 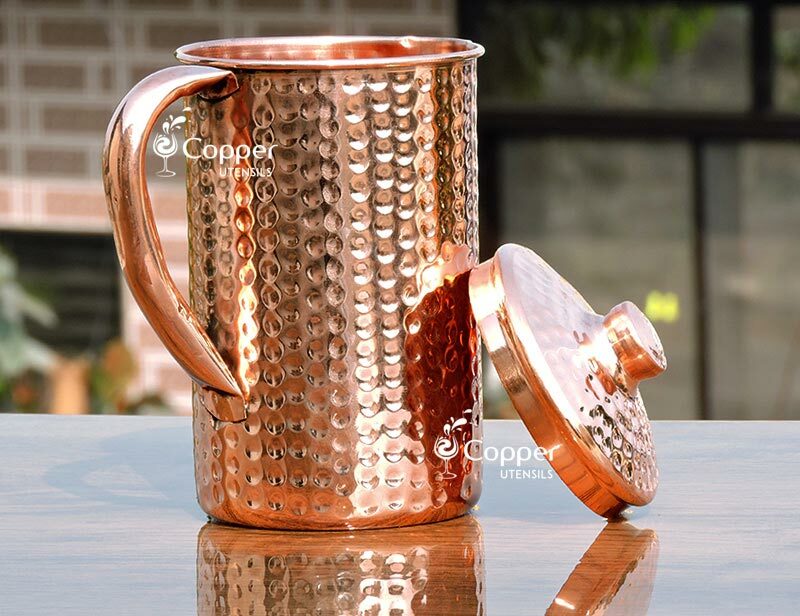 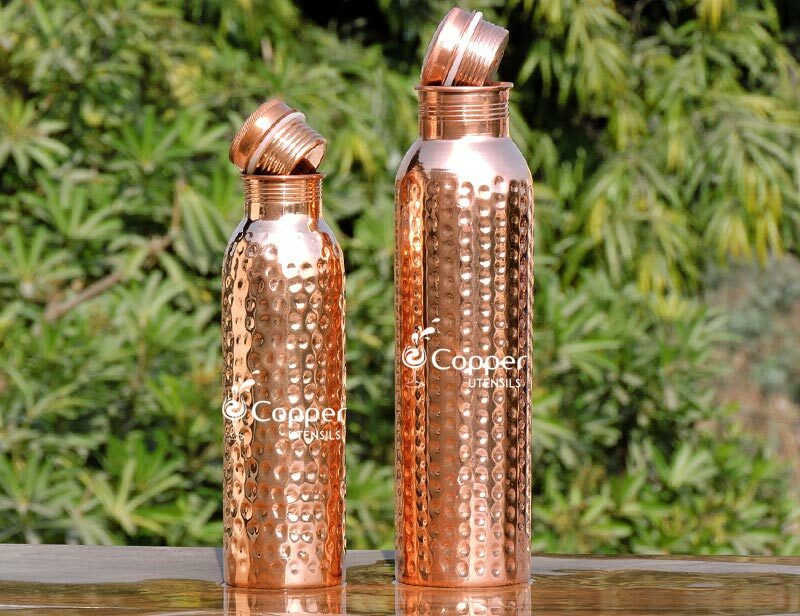 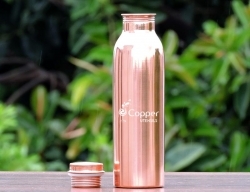 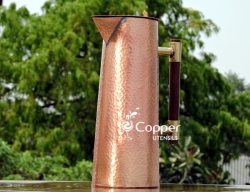 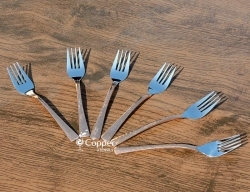 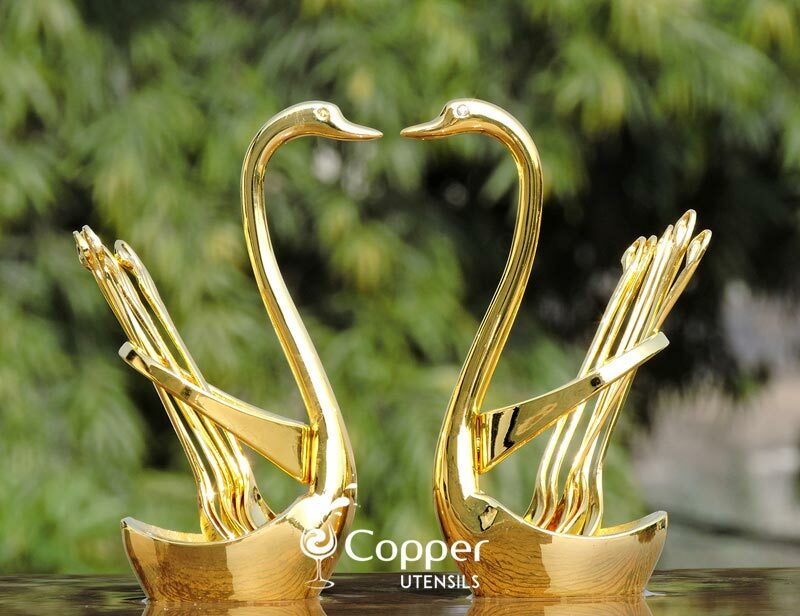 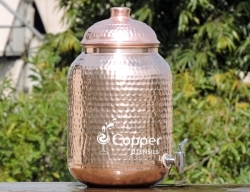 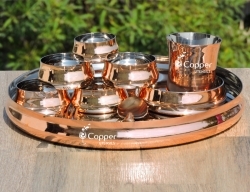 Made of copper, stainless steel and brass. 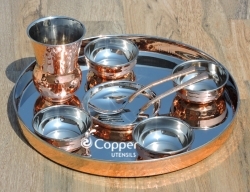 Ideal for serving ice-cream, gelato or any dessert of your choice. 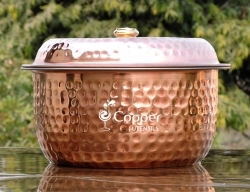 Great for parties, weddings, dinners, etc. 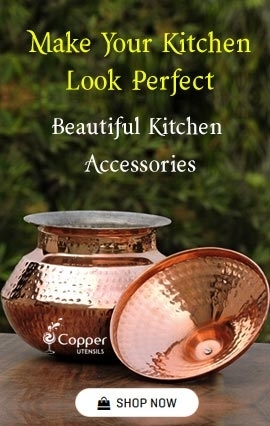 A great gifting option for your loved ones. 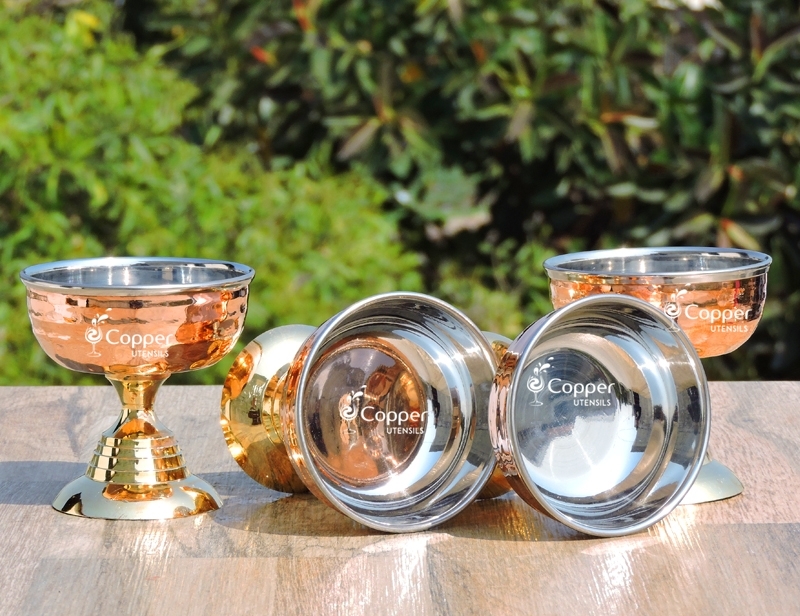 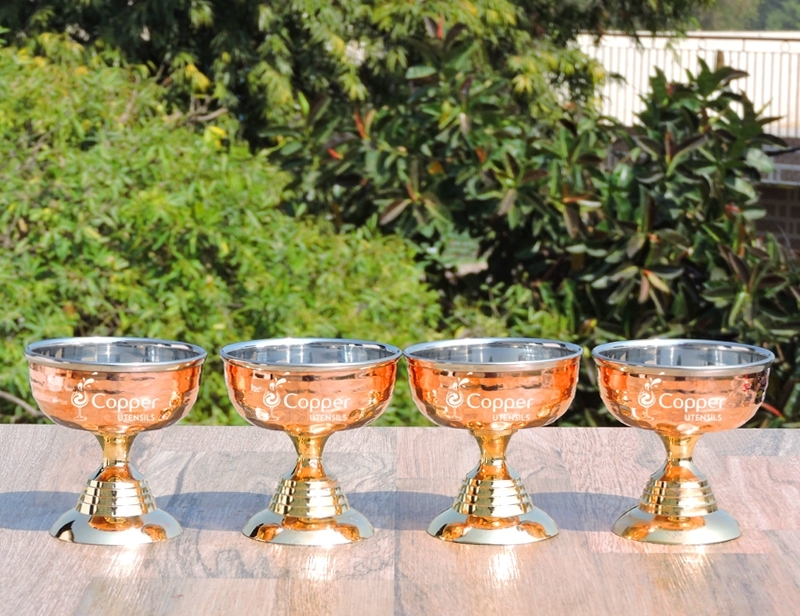 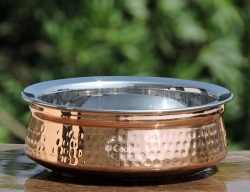 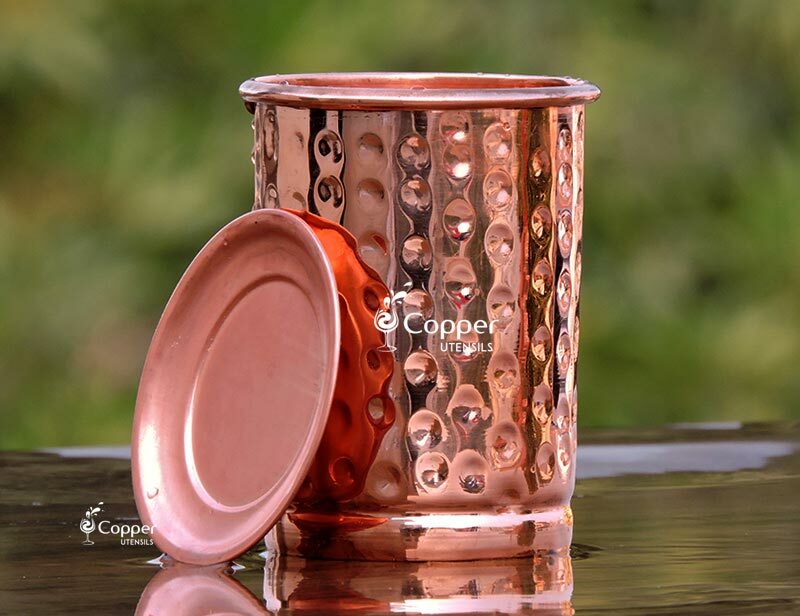 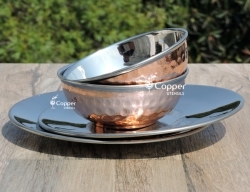 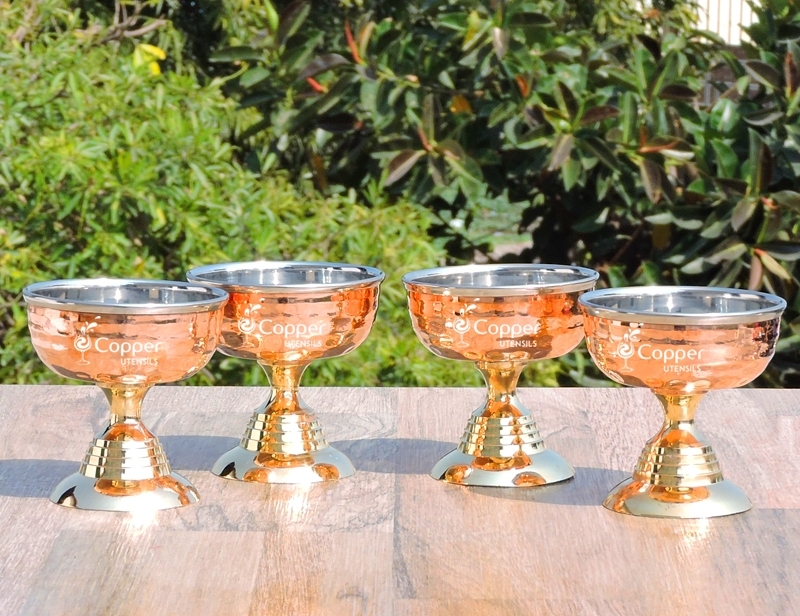 Savor post dinner desserts in our copper and stainless steel dessert bowls crafted in India. 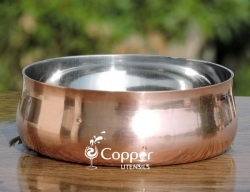 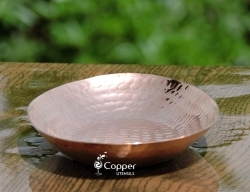 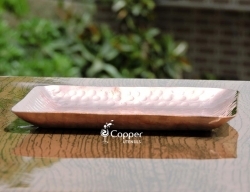 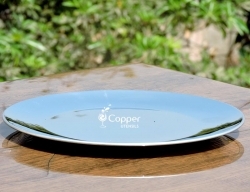 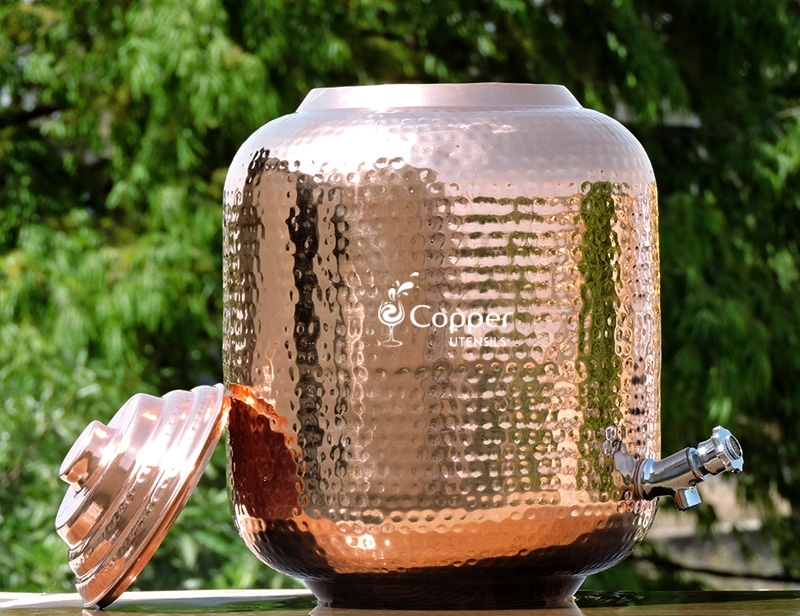 The inside of the dessert bowl is made of stainless steel and the outside is made of copper. 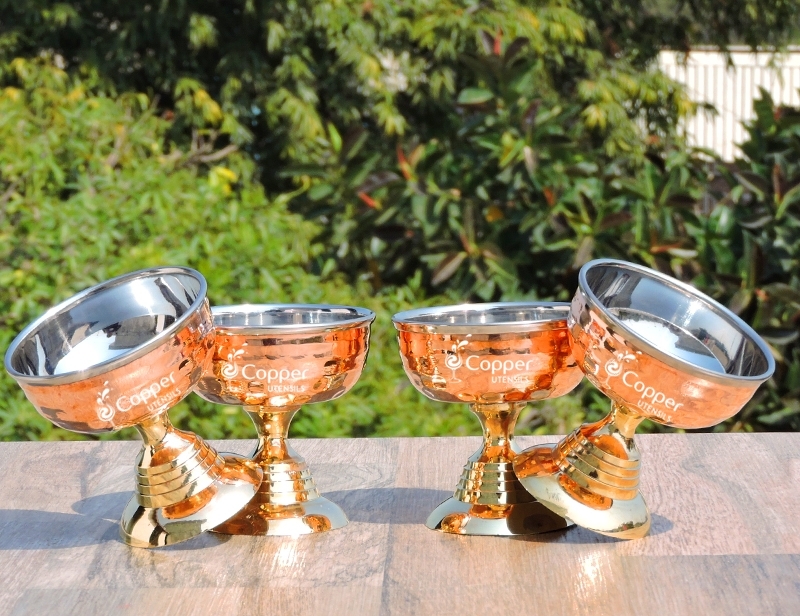 The stem of the bowl is crafted of brass and adds a golden tinge in contrast with the rose gold outside of the bowl. 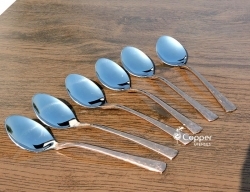 The capacity is good enough to serve a large scoop of ice cream, gelato or fresh fruit salad, etc.